The Case Tasmanian Blackwood handled Trapper is a classic. The hand rubbed finish brings out the beauty of the wood grain. 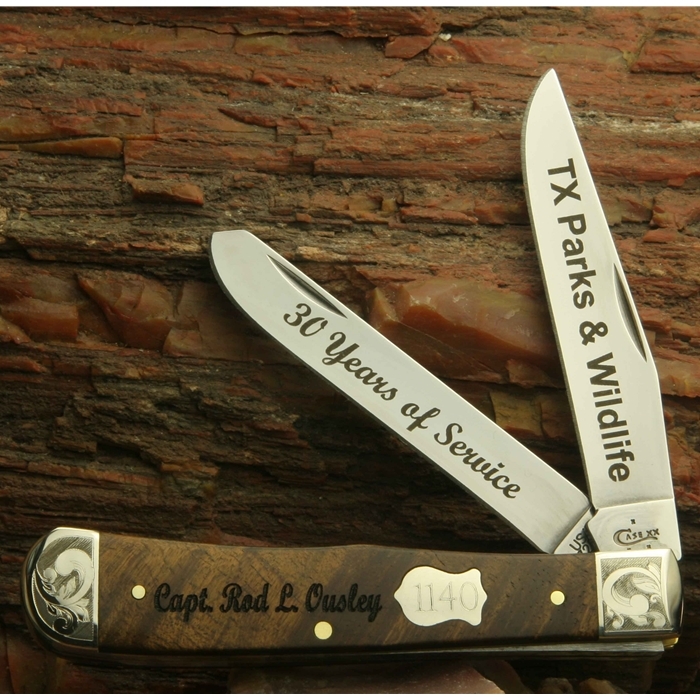 With it's exceptional good looks and distinctive Case Badge Shield, this knife can be your Sunday dress knife or your everyday carry knife. Scrolled Bolsters on top and bottom on the front and on the back.